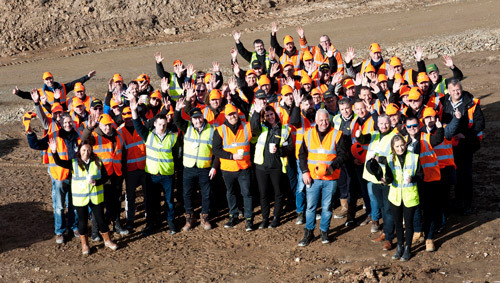 McCloskey held its first multi-spread demonstration event at King Bros. Quarry in Co. Armagh, Northern Ireland on Thursday, Nov. 1, 2018, highlighting the power of the equipment working together. The demonstrations were an integral part of events tailored to familiarize both new and established dealers with the versatility and productivity of McCloskey’s latest products.